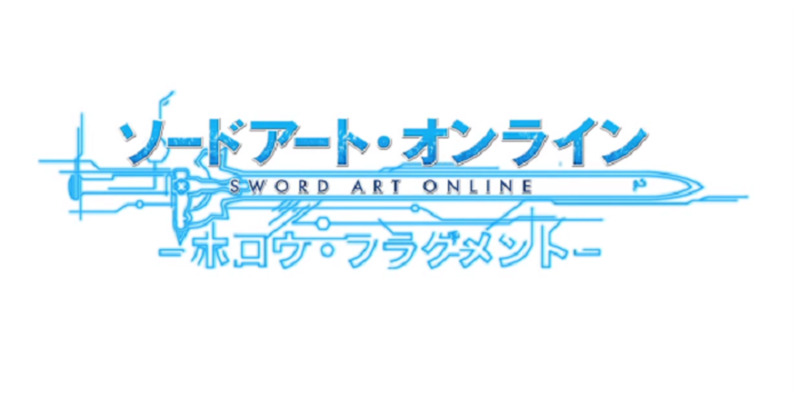 Swords, art, and an online game all included in one anime?! What could that possibly mean? Well, whatever the meaning, the level of excitement is exceptionally strong with this one! Sword Art Online takes a core of depth and adds a flurry of exciting action, excellent visuals, and a charismatic essence no one can resist. Logging into the awesomeness of this show would cause anyone to start searching for equally great alternatives. So with that, we're delivering you an inspiring collection of similar action-based anime. Help yourself to this spectacular list and dive into a whole new world of cutting-edge action and adventure! 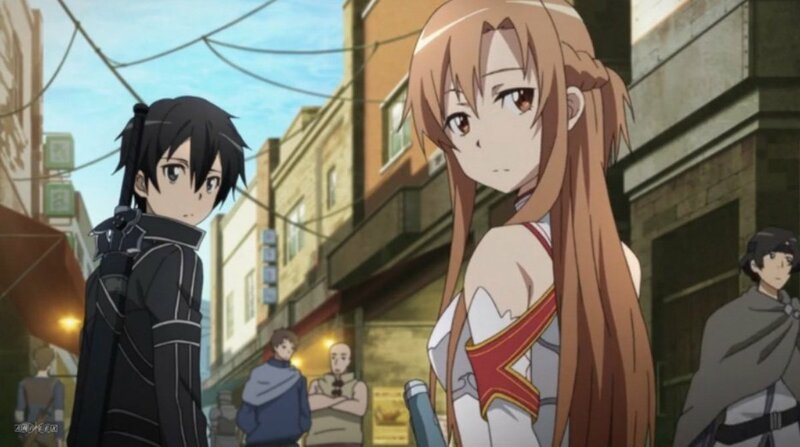 In the genesis of a new gaming age, Sword Art Online breaks into the world as the very first VRMMORPG (Virtual Reality Massively Multiplayer Online Role-Playing Game) created. But a deadly event and horrific blunder starts on the first day of its release. All the players who logged into the game are now unable to log out. Forcefully doing so results in death in the real world. And that's not all; when you die in-game, you die in the real world and lose your consciousness forever! Now, all the players have to team up and form guilds to beat the game and finally be able to log out. That won't be an easy thing to do, as those inside the game grow increasingly hopeless. Will someone be able to save everyone from the deadly clutches of the game? This is as close as another anime can get to Sword Art Online with respect to its theme and the other major online game elements. 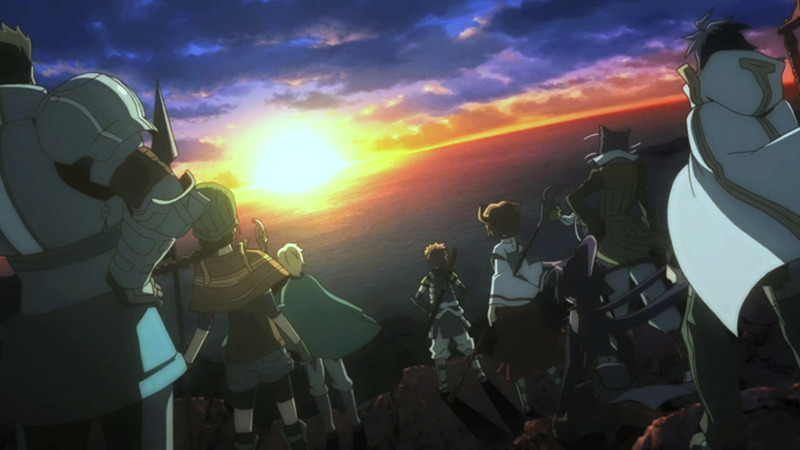 With a similar plot of players getting stuck inside a VRMMORPG and struggling to get out, but minus the game over (death) scare, Log Horizon is quite a spectacular contender in the VRMMORPG anime genre. With the ever-popular game known as Elder Tale now on its twelfth expansion, a surreal event begins to transport people into this virtual reality game. Unable to get out of the game or do anything outside of the game's mechanics, the players are forced to live out their time solving what is happening. Here enters Shiroe, a level-headed genius player who wants to solve the crisis and figure out the mystery that is taking place. With his insane maneuvers paired with his character's support skill set, he plays the game with party mates Naotsugu and Akatsuki in order to stumble onto some sort of clue. There are no game overs or deaths in this game, so it's up to our heroes to catch the clues and solve the mystery that trapped them inside Elder Tale. Before the sudden rise in stardom of Sword Art Online and the various other anime shows in the same genre, there was .Hack//Legend of the Twilight. And even though it wasn't able to garner that much popularity, it started the boom of the online game anime genre. .Hack//Legend of the Twilight tells the story of two kids who won two special in-game characters in the game called The World. Shugo dons the legendary character Kite while Rena dons the legendary character Black Rose. With the game on its usual course, Kite and Black Rose play to their hearts' content. But one day, Kite discovers the twilight bracelet he always had and manipulates its secret data draining powers. A power like data drain dangerously risks the balance of the game. It might just save the world though as mysterious events also begin to manifest (with some players mysteriously disappearing and falling into comas in the real world). Will everything be fixed in the end? Nothing seems to be right with this game anymore, so Shugo, Rena, and the whole party must find a way to get to the bottom of things. In our current world, mitigated by all sorts of technology, what would you do if the game you last played was now your reality? I'm sure it would be totally okay if it were something light, mild, and fantastical. But, what if you are now playing a character in a real-life brutal survival game? Would you still want to live in that reality? This kind of horrific scenario is exactly what we witness in the bomb survival game anime Btooom! N.E.E.T. (Not in education, employment, or training) Sakamoto Ryouta has lived his life indulging in the virtual world of online games. As a matter of fact, he's one of the best players in a bomb-oriented survival game known as Btooom! But, unknown to him and all other players, this game carries a dark, grim secret. It is being tested in real-time on an isolated island with the characters played by the outcasts of society. Since Ryouta has pretty much lived a useless life where all he does is play online games with no regard to other people, he one day finds himself on the island where his favorite game has become a bloody reality. With real bombs and grenades (the basic weapons of the game) in his hands, will he be able to play Btooom in real life? Or will he just fall prey to the murderous intent of the other players? Is there a way to escape this horror? Be a spectator of the game-based reality show and see the outcome of the dark secret of Btooom! If you enjoy this anime, check out this list of similar series. MMORPGs are a very popular genre of video games. It was only a matter of time until anime started using them as settings for their narratives. There are a few fantasy series where characters get transported into a game as well as more grounded series that focus on characters gaming in the real world. Some anime may not have a game specifically but they may feature characters using avatars in virtual worlds, obviously inspired by MMORPGs. Here are some series within the genre worth checking out. Did anyone say survival game? Well, the story of Mirai Nikki (Future Diary) is different from most survival games you have seen. That's because the sole winner of this deadly game gets to become the God of Space and Time! Deus Ex Machina is the current omnipotent God of Space and Time. But, in a mysterious twist of fate that encompasses all, Deus Ex Machina begins to deteriorate. Once he disappears, everything shall cease to exist. And so, to prevent the world from treading a path of destruction, a deadly survival game with the purpose of choosing a new god comes to fruition. 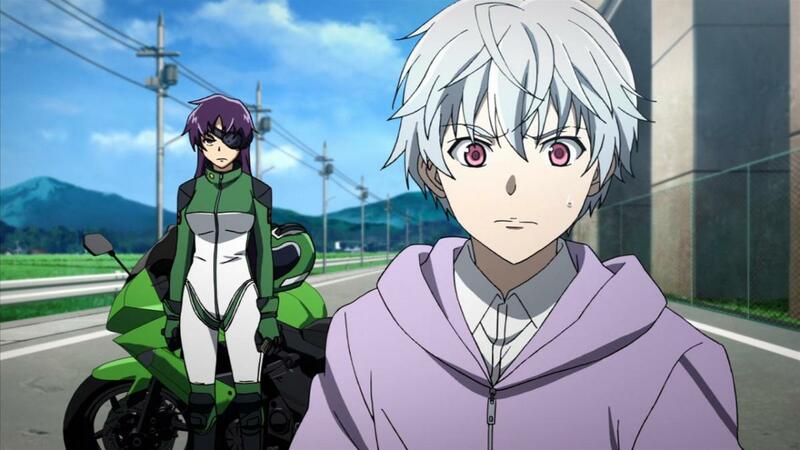 Battle the odds of survival as the 12 chosen future diary holders are given the power to see the future in various unique ways. They must fight amongst themselves to survive and eventually become the new god of time and space. With a perfect combination of action, drama, thrill, suspense, mystery, slice of life, and a little bit of light humor, Mirai Nikki is a god-like, thrilling anime that will keep you on the edge of your seat...and your sanity. It's an awesome anime that is more cerebral than any other title. If you can't get enough of this anime, you can find similar series with this article. On that fateful day, humanity received a grim reminder. They've come to hide themselves behind giant walls out of fear. All is rooted out of fear of the monstrosity known as the titans! In this humongously epic anime, follow Eren Jaeger along with the rest of humanity as they strike back at the nape of those flesh-hungry titans. Just what awaits the noble struggles of our heroes? And what exactly are the titans, and where did they come from? Will humanity stand victorious against the merciless carnage of the titans? Witness the horrifying yet exhilarating scenes of battle and action as they unfold before your eyes. I guarantee you that this anime, Shingeki no Kyojin, is a sure-fire hit that you will probably dig your fangs into. Its unusual yet sort of realistic elements will give you a brand new look into the innovation of anime. Grand narrative, awesome characterization, stunning imagery, and jaw-dropping scenes—you'll find them all here in Shingeki no Kyojin! If you are still on the fence, you can read this review of the series. Again, Ixion Saga DT is yet another show within the domain of online gaming-based anime. However, this one's heavier on the comical and fantastical side! That means that this series caters more to the fantasy and comedy aspects of MMORPG anime. Kon is your usual teenage video game addict. One day, an unexpected yet unforgettable experience happens. The video game Kon was playing sucked him into the world of Alma for reasons still unknown. Will the odds of the World of Alma be in favor of this newly-formed band of misfits? Or is their whole journey just a way for this unusually funny series to troll us? More importantly, what's at the end of Kon and his wacky party's laughable adventure? There's only one way to figure this all out. Join the party and the adventure yourself and see what funky mysteries the World of Alma holds. This anime is gonna keep you rolling on the floor to no end, so prepare for laughs! A lot of the anime on this list take cues from video games, most notably of the RPG variety. Most of them involve the protagonists getting transported to a game-like world where their skills are put to the test. There are other anime with more realistic settings that use video games as a central theme. They typically have tons of references for gamers. 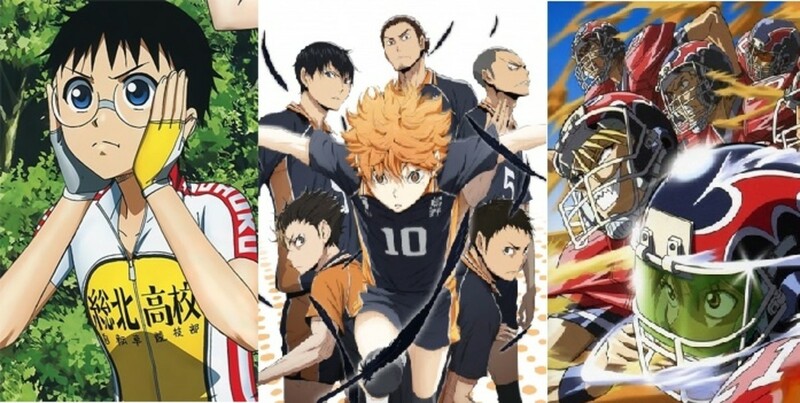 Here are some anime worth checking out if you are into video games. Have you ever wished of living in a game-like world where you’re the all-powerful supreme being? Have you ever dreamed of being an almighty creature that can bend everything at its will? Well, lucky for Momonga as the aforementioned questions are now his new reality. Overlord? Yes, we’re talking about Overlord here! And the overlord we’re talking about is Momonga! 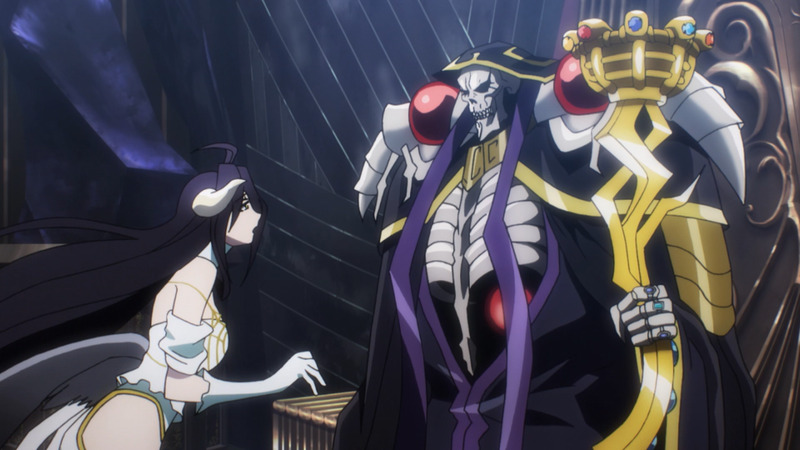 Now spreading his name as Ainz Ooal Gown, Momonga never imagined that a day will come when he’ll be living as the overlord of a virtual world. Actually, it all happened in a flash. Momonga doesn’t even know what happened to him in the first place! But now that he has power, loyal servants, and is the all-powerful Overlord of the world Yggdrasil, he might as well enjoy his out-of-the-world experience! If you are looking more anime like this one, you should read this article that covers similar anime. Before the onset of the current video game-based anime genre, we already had an anime that took place inside a digital world. That place is the Digiworld (Digital World), a place where creatures known as Digimon (Digital Monsters) dwell and live. The story of Digimon revolves around the chosen children known as the Digi-destined, as they mysteriously get drawn into the Digiworld. Clueless about what is going on with their fateful encounter, the chosen children set out to explore the new-found world. Along the way, they meet dangers and predicaments that they have never experienced before. However, they won't have to face the trials by themselves, because their Digimon friends and partners are coming to the rescue. 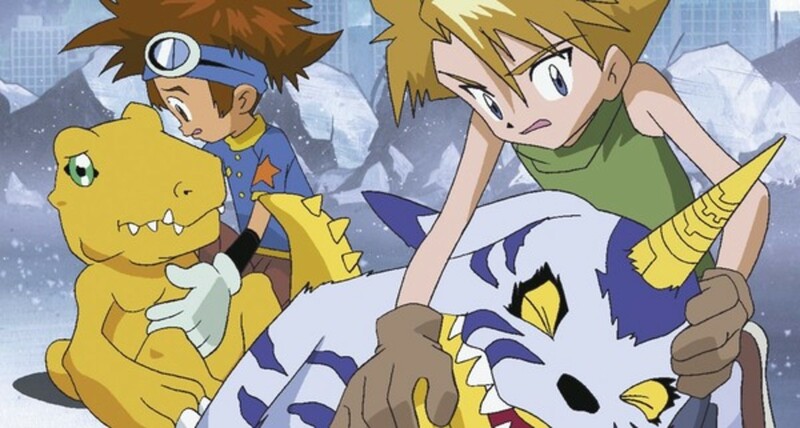 Watch the Digi-destined children and their Digimon friends as they tackle the strange Digiworld and battle their way through devious traps set by mysterious evil foes in order to find their way home and put the human world and the digital world in balance. This is a one-of-a-kind digital adventure you shouldn't miss. Don't worry, the Digimon are there to accompany you on your grand digital adventure! If it’s all just about games and whatnot, then No Game No Life is something you should seriously consider watching! No Game No Life follows the game-conquering story of Blank—the entity resulting from the impeccable teamwork of brother-and-sister duo Shiro and Sora! Together, Shiro and Sora are invincible! At any game, Blank is the perfect gamer. And so one day, Shiro and Sora are invited by a mysterious entity to another world. That world is none other than Disboard, a world with games as its essence. It’s the perfect world for Shiro and Sora! Will they be able to conquer it as Blank as well? 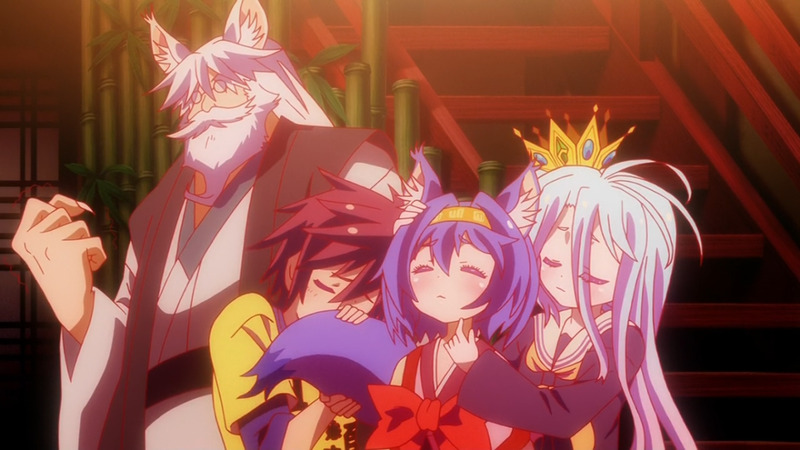 No Game No Life is the show to watch if you want your brain to be tickled by mind plays, twists, and games in general. 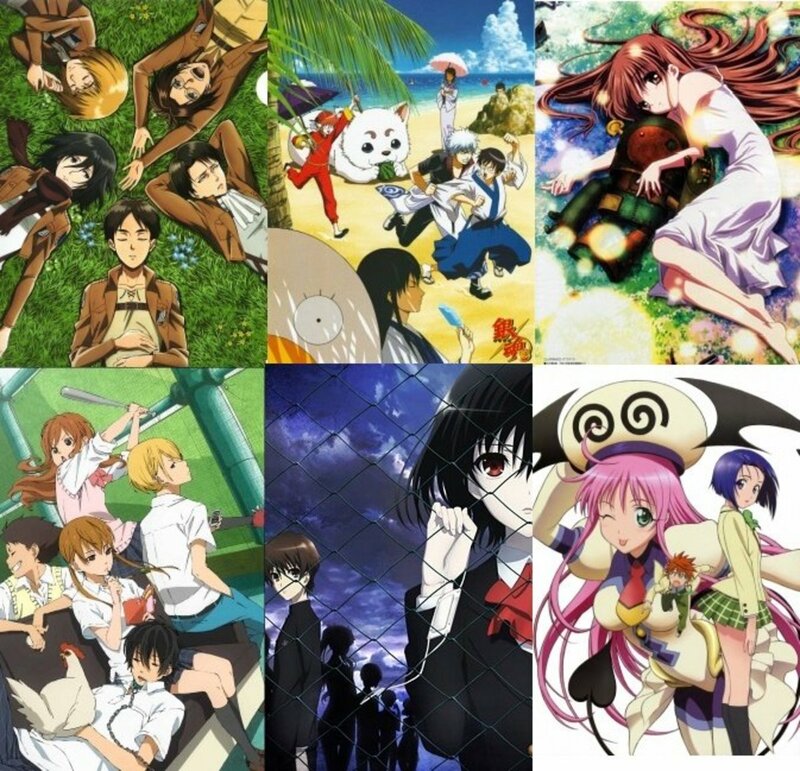 You can also read this list of similar anime if you end up enjoying this one. If the world was just a gaming world, everything would absolutely be different! Fighting monsters, levelling-up, saving the world, searching for treasures, it would be such bliss! If the world was like this, would everything truly be blissful? Would the world be as magical and mystical as it sounds? In a far-off land, there exists a dungeon with unimaginable depth and mystery. It can be found in the city of Ontario. And in that city, new dreams and desires are made. One day, a new adventurer by the name of Bell Cranel stumbles upon the goddess Hestia. Both of them have their own goals and dreams. Bell wants to be one of the greatest adventurers of all time while Hestia wants to be praised by loyal followers and make her own guild famous and successful. Such is the beginning of a new story. A grand adventure awaits! Based on this list, what's next on your watchlist? i cant find the anime i an looking for. its earlier than any of this above. I just remember it has a digital self and the character hand can transform into weapon. Log horizon, No Game No life and Danmachi are way better than sao, still is a good anime but these are better. If ya'll haven't checked out the anime King's Avatar, go check it out though it's Chinese is ligit and way better than almost all the anime listed here. You have my welcome if you're gonna say thanks. Danmachi has also Skills like SAO so its right to do it in this list. Why and how does Is It Wrong To Try To Pick Up Girls In A Dungeon? make it to this list? tbh its slightly offensive to even COMPARE sao with better anime like mirai nikki, snk, and ng nl. @Ding Ding I don't know the specifics as there are no announcements yet so let's just hope that it's this year or the next. @david Never heard of it but I'll try to see it. @ddd Yup, there will be. It's coming soon. Where is accel world ? well i've watched them all!! i just want a good anime! why can't i find new ones i haven't watched?! @kimzkie : i think there is no new so far about season 3, I think we will be waiting long for a season 3 provided that there is. @kimzkie : there are rumors that NGNL season 2 will be released in 2016 but i think it has not started yet, many like you are waiting for it. @kimzkie Well, good news is...there'll be season 2 for NGNL soon. Yay! pleaseer give me a alost of every anime that is worth watching .i have already seen the ones on this list please guys..hehehe and btw is there a s3 of ngnl?and log horrizon?? How is Attack on Titan like SAO? I'm failing to draw the connection. Overlord new anime has 10 episode so far! It's just like Sword art online. The main character is left behind the game, and he still has his all skills from the game. Worth to check out, might be my new favorite anime. 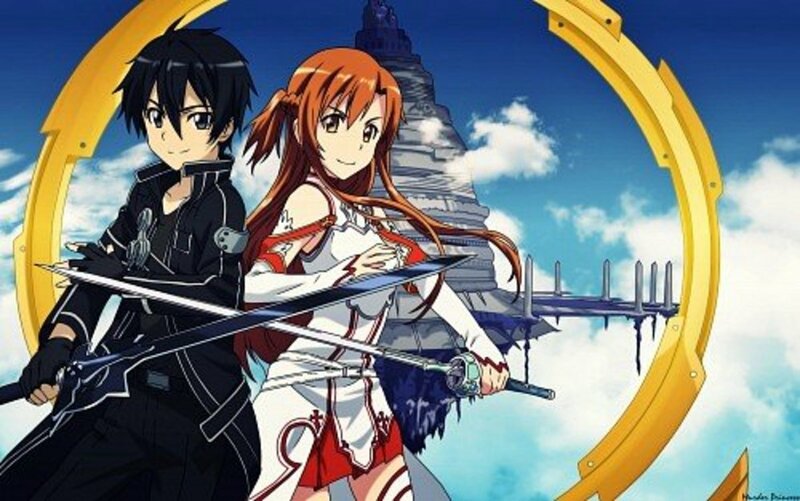 I'm new to watching animes and I loved SAO (the second season is awesome! ), so I'm excited to watch all of those, especially Log Horizon, it's very similar to SAO. There is also "No Game No Life" anime. This anime has the same feel as SAO. It has a level based dungeon and is set in real life instead of the game setting. 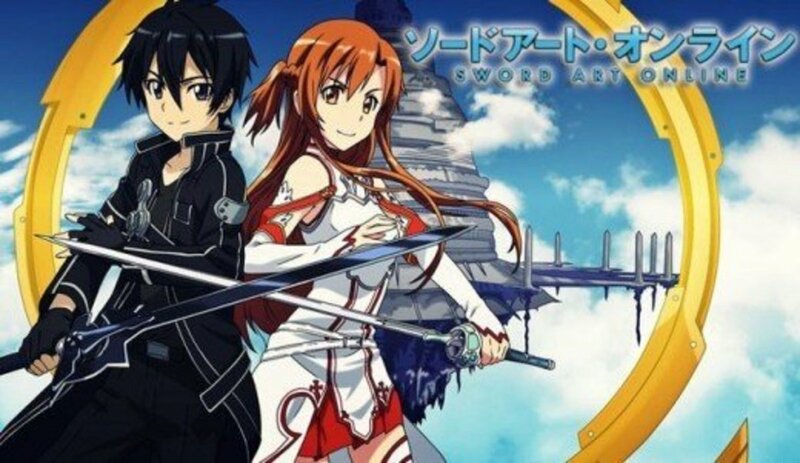 May I suggest an alternative for the author; Given SAO is a Light novel and love stories are also a focus on the main story I would very much suggest Zero no Tsukaima as a great alternative to who lived SAO, given its also a light novel based on a pair that falls in love and it has great dueling' sword and magic fightings. I've seen 5/7 on this list.. I've gotta say though I really expected Accel World to be on this list? And I disagree with a lot of these comments I thought SAO was much better than Log Horizon but I am yet to start the second series. 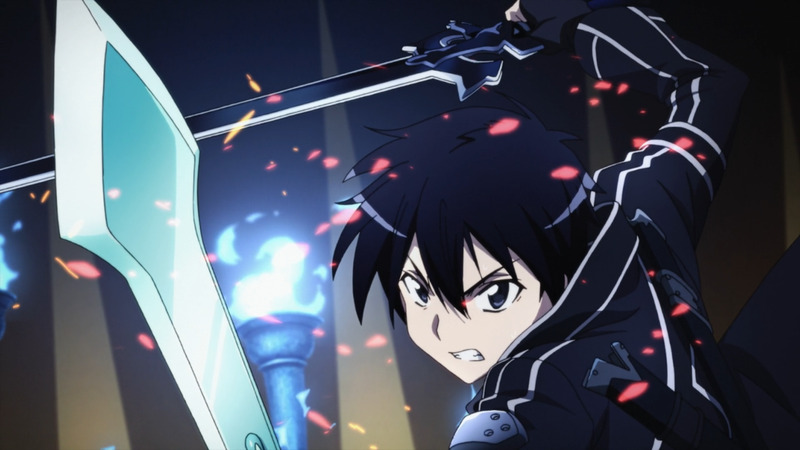 SAO's characters were just so much better & the action scenes were also better. @tiagodamiao haha. I kinda agree with that you've said about gun gale online but -- that's just one arc as the upcoming arcs would be much better (even on par with the first one). And the BTOOOM, I definitely recommend that to you. Less fantasy and more seriousness. Thanks. Interesting Hub. When SAO came out I remember everyone saw that anime. And when was the time for anime events everyone choose Kirito or Asuka. In the next year, was the time for SNK. But I don't think SNK has anything to do with SAO. Even the fights are different, but it's only my opinion. The most anime like sao that you have on the list is Log Horizon, and off course, it's better. The first season was amazing! The only thing that was bad in SAO was the 2nd world and now in SAO 2 the GGO. For me, SAO has only 13 episodes. But you have a good hub here! 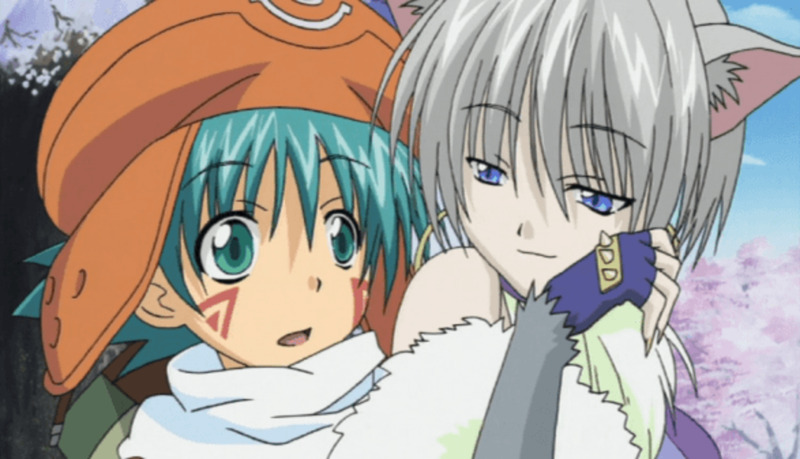 I have to see BTOOM and .hack//. @angelwolfchild as usual, thanks for your overwhelming support. It's kinda flattering to find an anime-lover like you here. 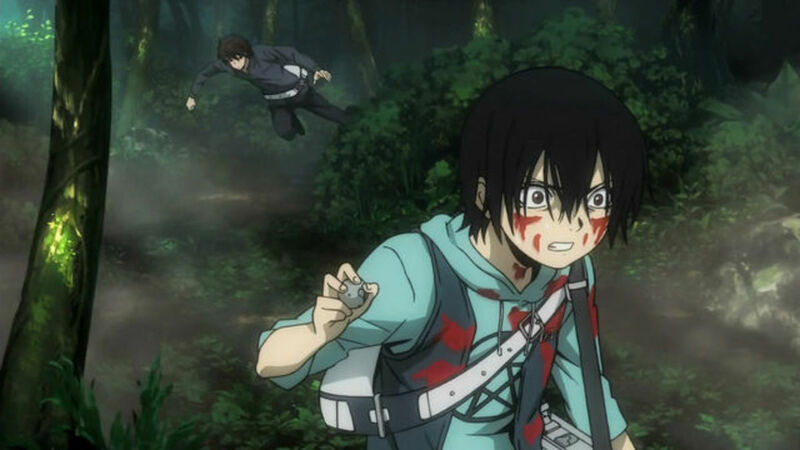 You should try watching the BTOOOM! though because it definitely is action-packed as well. 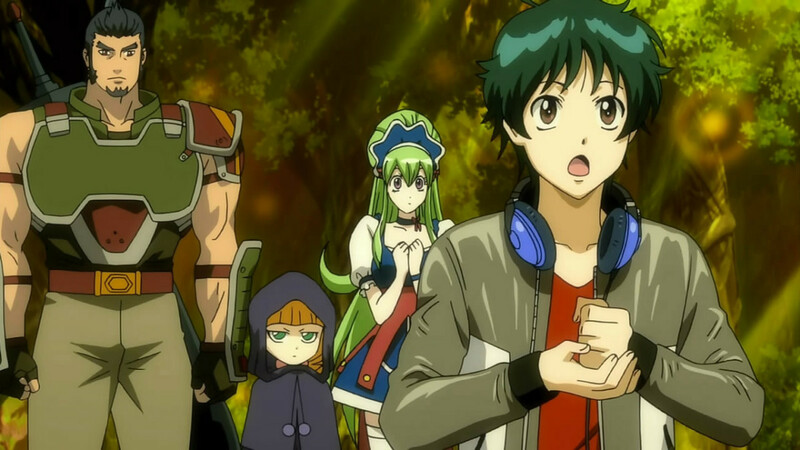 As for the Ixion Saga DT, it's more on the comedic side of things rather than action and serious business. Only seen four on this list, and honestly the others don't really appeal to me. I must admit I was eager to find more anime like Sword Art Online because I loved that show, so finding things like Log Horizon was great. In some ways Log Horizon is actually better than Sword Art Online because it focuses on living rather than combat (although SAO has the better visuals and characters personally). 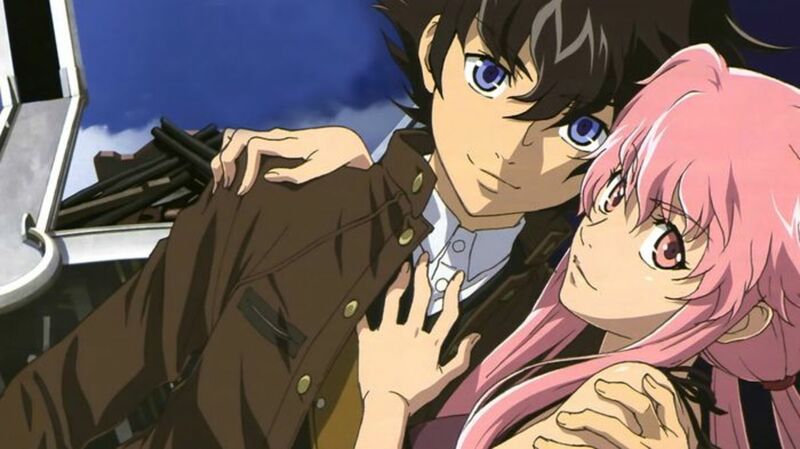 Mirai Nikki is just fantastic, I could not get enough of this show. Digimon... that's a childhood favourite so huge nostalgia points, plus it's one of the few shows I love just as much now as I did when I was young. 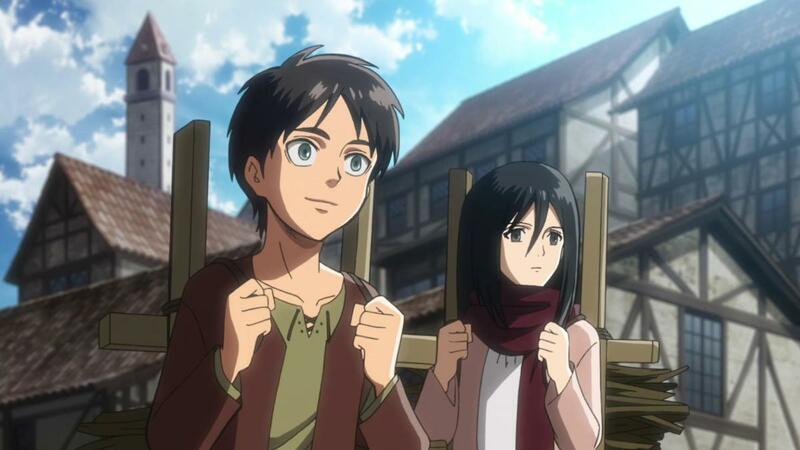 Attack on Titan is brilliant, but I feel like I never really got the hype around it. There's nothing wrong with it, but I just didn't go as crazy for it as everyone else seemed to, so not really sure what to say about that. Anyone, great job with another awesome list. I've seen all of the animes mentioned on this list and my favorite so far is Log Horizon. It's a complete package. Romance, humor, action, and a good plot; Log Horizon has it all.hehe Thanks for sharing this cool hub and have a great day!